What is the St. Baldrick’s Foundation? St. Baldrick’s is a charity with a funny name that does one thing and does it well. We fund grants for childhood cancer research through head-shaving events and other fundraisers across the globe, so kids with cancer can live long, healthy lives. Like many crazy, world-changing ideas, St. Baldrick’s Foundation started in a pub. Three friends challenged each other to shave their heads bald at a St. Patrick’s Day party to raise money for kids with cancer. The challenge was so successful — raising a whopping $104,000 and resulting in 19 bald heads — that the founders started to think even bigger. Soon, those two seemingly unrelated concepts (baldness and St. Patrick’s Day) were put together, and ta-da! The St. Baldrick’s Foundation was born. St. Baldrick’s is now the largest private funder of childhood cancer research grants. Since becoming a foundation, St. Baldrick’s has funded more than $258 million in grants to researchers working on the cutting edge of their fields. That’s a whole lot of help for kids with cancer — but it’s still not enough. 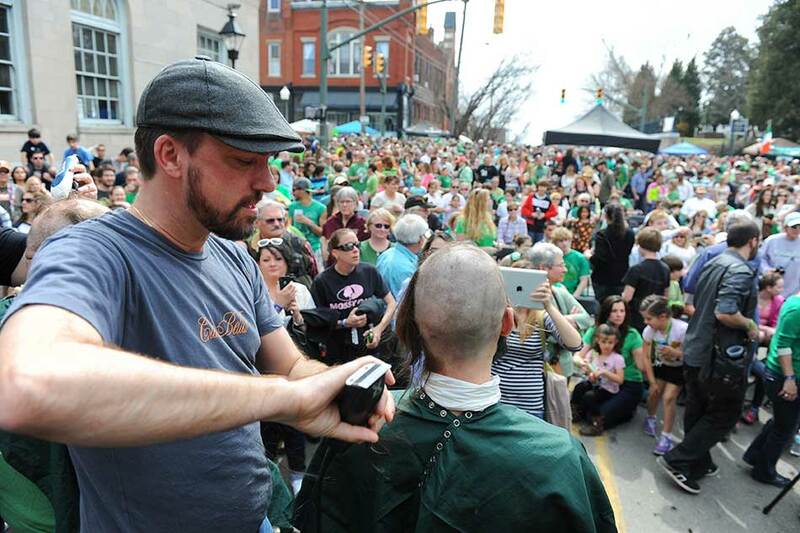 St. Baldrick’s is a volunteer-driven charity. People like you give kids better, safer treatments and hope for a cure. Since St. Baldrick’s became a foundation in 2005, we’ve shaved over 500,000 heads. Will yours be next? Find an event near you! Can’t find one? You can still be a virtual shavee℠. Bring St. Baldrick’s to your community! Sign up to be a volunteer event organizer (VEO) and we’ll walk you through the rest. Every St. Baldrick’s event needs a strong volunteer committee to recruit participants, promote the event, and make sure the day is a success. Get registered and your local VEO will get in touch with you. With more than 50,000 shavees each year, barbers are in high demand. If you’re a licensed barber or cosmetologist and you want to lend your time and talent to helping children with cancer, sign up today and your local VEO will get you on the schedule.